The damp air cut into his neck like a razor blade, sending a chill down into his legs through his spine. The basement stairs creaked under his weight but they were still holding strong for their age. He walked over to the metal gate standing between him and the wine cellar and opened it before browsing the collection. Most of them had been left here from the original owners in the 20s but he had added some of his own as well. He ran his finger across the bottles until he came across a 1959 bordeaux, from his own collection. He picked up the bottle, closed the gate and walked back up the stairs that lead into the kitchen. He put the bottle down on the counter and fetched himself a glass from the cabinet above the antique stove top. He poured his drink and took a satisfying sip before moving to the living room via the sewing room and the hall. He felt a chilly breeze on his neck as he entered the living room, a window was open. He could have sworn he had them all closed he scoffed and shook his head as he latched the window shut. He took a seat in his favorite arm chair and turned on the television. It didnt take him long to fall asleep. A crash. The sound jolted him from his nap and had his heart beating out of his chest. He listened for a moment but heard nothing. He did, however, feel that chilly breeze on his neck again. A window was open, but he could have sworn he had them all shut. He got up out of the arm chair and poked his head out of the doorway down the hall, it was pitch black. He listened again for a moment and heard the unmistakable footsteps of an intruder in his house and he knew exactly who it was. As quietly as he could he moved to the front door down the hallway trying his hardest not to creak any of the aging floor boards, he picked up his keys from the bowl on the end table next to the door and went to unlock the front door, he realised then that the door was only pulled closed, it wasnt even latched. He quietly opened the front door and stepped outside, power walking to his 85 corolla parked in the drive way he got in as quick as he could, forgetting to be quiet, started the engine and sped off toward the road into the ink black bushland and out of town. After driving for about 5 kilomertres He saw a pair of headlights in his mirror. And he knew exactly who it was. Sophie rolled down the window of her grandfather's near mint condition Kingswood as she lit up a cigarette pulled from the pack on the passenger seat, she had been driving for about 2 hours north of Newcastle and her legs we're starting to ache when she was about one hour south of the city. She took a deep nicotine filled breath from her malboro menthol and turned off the static coming from the radio. She was away from civilisation and she was enjoying herself, besides getting stir crazy from being in the car for so long. Although she loved the Kingswood almost as much as her grandfather did so there were worse cars to be stuck in. The Kingswood was immaculate and in original condition, her grandfather cared a lot for this car and when he passed and she inherited it she continued the tradition, not that it was hard, she loved old things, it was part of her job. She run her grandfather's Newtown antique store after inheriting that as well and aside from her grand dad being here with her she couldn't be happier. A road sign came closer to her as she drove and she read what it said hoping for some indication that her journey would end soon. The sign said "Billeroy – 3km" and "Tenterfield– 210km" she let out a sigh and checked the time, it was almost 3 and she hadn't eaten yet, the Kingswood was a bit hungry too according to the fuel gage. She decided to take the exit for Billeroy as it came up for a bite to eat and some fuel. she came around the bend out of the bush and into the town and got fuel and the service station just next to the exit before driving off in search of food. she almost couldn't believe towns like this still existed. The small hamlet was about 15 minutes into the bush and there was not a fast food chain store in sight. She drove down the main road into town which was as quiet as any other of the residential avenues all around the town. It seemed like the perfect country escape. Two men on a porch drinking beers on one side and a little old lady walking home with her groceries on the other side of the street. She came up to what appeared to be the main strip of the town. There wasn't much there, just a newsagent, a grocery store, a take away shop and a café. She parked her car in a space sitting diagonally to the street and got out, stretching her legs properly, it felt amazing. She looked around and felt the take away was her best bet. she crossed the street and stepped inside and ordered a serving of fish and chips from the little old lady behind the counter before finding a seat outside with an ash tray on the table to have her ritualistic after meal smoke. She ate her lunch and looked around her. The street was quiet save for some local children going to the beach which was off to her right and down a small lane and a truck delivering much needed supplies to the bottle shop a few doors down. She glanced to her left to what at first she thought was the entrance to a park where two large wrought iron gates stood chained shut. she stubbed out what was left of her cigarette and got up to look. A bench in a shady park seemed very inviting to her right now as the table's plastic umbrella didn't seem to be doing much about the summer heat. It was then that she looked through the gates and realised that what was behind them wasn't a park at all, but a glorious yet decrepit Victorian mansion nestled behind the pine trees and an unkempt yard. Sophie was in awe, the closest thing she had seen to a house like this was a huge federation house in the inner west but it had nothing on this place. The tower, the ornate brick work, the fountain in the drive way, hell, even the broken windows on the second floor radiated this eerie beauty that she could just soak in all day. It wasn't the first time she had been overcome by this feeling but the little curios she had acquired whilst running the shop were no where near on this grand of a scale. 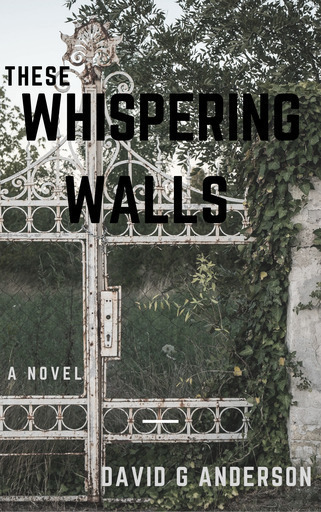 On the ground at the foot of the gate just behind the fence was a for sale sign half buried by the scrub and weeds that were slowly taking back the mansion's grounds, Sophie's heart skipped a beat. If it was still for sale Just the chance to inspect the place would be amazing let alone buying it. She memorized the address of the local real estate from the sign and set off down the street. The estate office was on the main strip of Billeroy, just around the corner from the takeaway and a short walk from the mansion's gates. She slid open the door to the office and stepped inside the air-conditioned reception from the 35 degree heat outside, the temperature change was welcome. There was no one to greet her at the front desk however so she waited and looked around at the basic decorations around the office. A plastic plant in the corner, the posters and flyers explaining how Billeroy realty were guaranteed to get you the best price on the property of your dreams and a signed Newcastle knights jersey in a on the wall behind the counter. There was also a "ring for service" bell on the counter in front of her which she rang, after a moment she could hear someone get off a chair followed by footsteps. Shortly after a brunette woman, shorter but older than her emerged from the plain wooden door to the left and behind the desk. "sorry about the wait" she said as she smiled at Sophie. "that's ok." Sophie replied also returning the smile. The estate agent sat down at the front desk and Sophie saw that her name tag identified her as Becky. "what can i do for you?" asked Becky in her best customer service voice. "id just like to inquire about possibly inspecting a house today." Sophie said hopefully. "oh yes, what is the address?" Becky asked as she logged onto the what seemed to be obsolete desktop computer in front of her. It was now that Sophie realised she hadn't even bothered to check what the house number was. "oh...its the old house on the main street just around the corner." "ok...so on Billeroy drive?" "yes i suppose so." Becky looked like she was scrolling through their property list "I don't seem to have any properties listed on Billeroy driv..." she cut the sentence short and asked "wait... you mean the Darnell house?" "that depends on how many Victorian mansions you have in this town" Sophie replied with a smirk. Becky laughed and looked back at the computer screen. "I'm not even sure if that property is on the market. "she got up from her chair. "just give me one moment." Sophie watched Becky go back through the door and into the back room, already feeling disappointed. Becky came to the front desk holding a folder and skimming through it's contents. "well its not in our system exactly but according to this it's on the market." she leafed through more pages of the file. "must have been skipped when we updated our system but I cant see a reason why you cant inspect it." Sophie tried to hide her grin but was failing miserably. "sounds great." Sophie said trying to remain nonchalant. Becky picked up her handbag and keys from behind the counter before gesturing Sophie to follow her out the door. She locked up the office and the two women set off for Darnell manor. Upon arriving at the house gates, Becky's phone rang. Sophie gave her a nod of permission and she answered it. Sophie couldn't help but overhear the conversation as she stared up at the house once more. Apparently someone named Josh forgot his key to the office and Becky was not amused. She hung up the call and turned to Sophie apologetically. "I'm sorry this'll only take two minutes, I just need to let him in." Sophie nodded, smiled and stood there with her arms folded intending to wait and Becky went to leave but turned back and said "hey, I'm only going to be two minutes." she held up the keys to Sophie. "open up and have a look around, ill be right back." Sophie smiled as she accepted the key ring. "I'm happy with that." Becky rushed off "ok, great, wont be a tick." Becky turned and walked down the street leaving Sophie at the gate with the keys in her hand. She wasted no time in taking off the ancient padlock and pushing open the stubborn creaking front gate, the top hinge was broken so it dragged along the ground but Sophie managed to open it just enough to allow entry. She walked up the overgrown drive way and stopped looking up at the house, soaking in the eerie beauty and thought to herself about the stories this place could tell. The fountain in the centre of the circular drive way was long dry but still very pretty. She walked around it running her hand along the cold dry stone and came to a worn inscription on the side facing the house. From what she could make out it read. "for Helen." Sophie smiled at the romance of that and walked up the front steps to the French double doors and put the key into the lock. It wouldn't turn or go in all the way for that matter. She frowned and examined the key ring and this key was the only one labelled 'front door' and seemed to be the only one large enough to fit the lock. She looked around in case there was a window open or something before taking a few steps back and looked up at the house again. "are you testing me?" she asked out loud. She tried the key in the lock again, no luck And then leant down to inspect the old fashioned key hole. She could just make out the shape of the tooth of another key sitting in the other side of the lock. She sighed and thought for a bit before rummaging through her bag and pulling out a bic pen. It took some fiddling but what after felt like ages and rendering the pen thoroughly useless, she heard the satisfying clink of something small and metal hitting the floor on the other side of the door. She smiled to herself and unlocked the large double French doors with the key Becky gave her and stepped inside the entrance room of Darnell manor. As she stepped inside she picked up the key and put it in her handbag to give to Becky when she arrived. The first thing she noticed as she crossed the doorway was the smell, that old house smell. Like you were breathing in its character. Despite being abandoned for so long the house was in surprisingly good shape for its age. Not even a strip of wallpaper peeling yet. Sophie strolled through the entrance hall to the hallway running her hand along the walls and imagining what it would be like to live in this house in it's hey day. She went through the first doorway she came to and found herself in the study. It was remarkable how furnished this place was, almost as if it was a museum for the days gone by. Papers still strewn on the large mahogany desk and enough books on the shelves here for her to spend a few days going through. She left the study and continued her inspection. To her delight she discovered an antique phone on a side table in the hallway, she estimated from around the 1920s. She made a note to herself to ask about buying the phone, if anything it would be a nice piece. And then walked into the living room, again, fully furnished and making her feel like she had gone back in time. There was even a mug on the coffee table, but she didn't particularly want to find out if it came complete with original coffee. She exited the living room and walked slowly down the hall and opened the door to the kitchen and almost choked to death at the thickness of the air. The rear door leading to the exterior of the mansion wasn't sitting in its frame properly it almost looked as if there had been a break in and this had left the room exposed to the elements. The dampness was apparent all over the walls, counters and even the antique refrigerator in the form of thick mold. It was a disgusting shame. Around the island in the centre of the room on the back wall next to the counter which held the sink was a door, it was locked. Not knowing what key to use she decided to wait until she had some company before exploring here any further, she needed some fresh air anyway so she decided to continue her inspection back through the entrance room and through a doorway that lead to the stairs. Sophie put her hand on the banister and looked up into the shadow cloaked second story, even with its charms the house was still a tad...spooky. All the doors she tried on this floor were locked, and after trying a few keys she decided again to just wait for Becky. And the opposite end of the second floor hallway there was another staircase that led upwards to a small L shaped hall that only had a door to what Sophie assumed was the attic and a doorway that housed the circular staircase to the tower, she went straight for the staircase and climbed up, she felt like she was in a Tim Burton take on a Jane Austen novel as she climbed to the top. The tower had been converted into a small office with a corner desk sitting under the window overlooking the front grounds of the mansion. There were boxes stacked around and underneath the desk that seemed to contain newspapers. On the desk were some clippings from them that were sun bleached and gathering dust. She caught movement in the corner of her eye and followed it to the window where she saw Becky walking up to the front steps. She went downstairs to meet her. Becky entered through the front door as Sophie reached the bottom of the main stairs and greeted her "sorry about that, the new guy needed help on the system as well." "That's ok." Sophie replied with a smile "I had fun." Becky looked around for a place to put down her handbag before moving a small glass bowl off the end table next to the door safely onto the floor. She put the handbag on top of the now clear but dusty table and took a Manilla folder out labelled 65 billeroy drive "so." Becky paused for a moment and looked around before finishing her question. "What do you think?" Sophie Paused and look around as well, thinking about her answer. "This house is amazing." Replied Sophie, still looking around as she continued. "The kitchen is a shame though." Becky looked through the folder and nervously smiled. "Sorry you'll have to forgive me for not exactly being up to speed. This house has been sitting in our files for a while, you're the first one to look at it in so long." Why is that?" Asked Sophie. Becky looked up from the folder and have a nervous chuckle. "Well we don't get many new people come to Billeroy and this place has a sort of...history when it comes to the locals." Sophie grinned on the inside. "Oh?" She asked again trying to be nonchalant. Becky thought about what to say next, Sophie could see she was trying to tread carefully. "Well back in 1927 there was an investigation surrounding this house, biggest thing that has ever happened in this town." "What kind of investigation?" Becky stuttered at the question, Anything to do with the police must be bad for sales Sophie figured. "Well there was a murder." Sophie waited for Becky to continue, she didn't seem to want to though but the silence forced her to press on. "It was ages ago though, it's not as if there's still a body here or anything." Becky laughed as she said this and Sophie gave polite smirk back. "Well I'm interested, even if I could talk to the owner and negotiate a price or at the very least take some of the furniture off their hands I'd be very happy with that." Becky stalled again. "I'm actually not to sure who the current owner is, I'll have to get back to you on that one." Sophie suggested that they meet again the next day to give Becky a chance to track down the owners. At the very least Sophie wanted that phone to remember Darnell manor by. They exchanged details and left the house together, Becky walking down the street toward the real estate office and Sophie left in front of the gates. Sophie pulled her smart phone out of her hand bag and searched for somewhere to stay in Billeroy. She didn't expect much but the bed and breakfast advertised on the Billeroy website sounded like the go. She noted the address and went to her car. It didn't take long before she found herself parking outside what looked like a house through the wonder of GPS technology. What they called the reception area was very cramped. Just a desk and a clutter of knick-knacks, photos and brochures on top of it and what looked like a light switch labelled 'press for service' in the middle of it all. She pushed it and waited. Hearing the shuffling of slippers and smiled at a short old woman who rounded the corner. "Hi, I'd like a room please if that's possible." The old woman smiled back at her and gestured toward the old fashioned black leather bound guest book sitting precariously on the edge of the counter. Sophie awkwardly thanked her and signed her name on the line, she looked up to see a key I the older woman's hand. She took it thankfully and went to her room. It didn't take long for her to fall asleep.